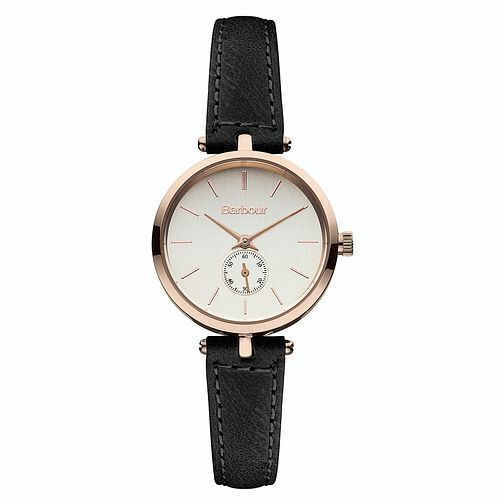 Get laidback sophistication with this slim ladies' black leather strap watch from Barbour's Lisle collecion. Styled with a fresh white dial with sub dial. Set in a rose gold-plated case for a sumptuous finish. With 120 years of iconic motorcycling fashion history, Barbour's unique British values and functionality seamlessly transfer to their distinctive watches.